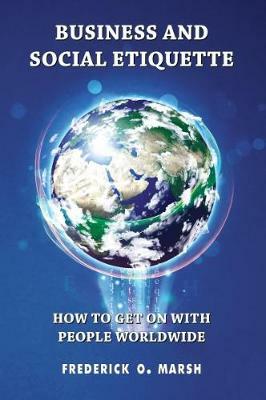 This book is for travelling executives, tourists and students as well as those who have either direct or indirect contact with people in other countries in their capacity as hosts or marketeers. In our own country we know the language, codes of behaviour and social customs, but in international relations we are faced with unfamiliar situations. It is a mistake to think that our good home-bred manners will be universally understood and simply speaking the foreign language of a country combined with abundant goodwill will not guarantee a successful relationship. Ordinary actions such as speaking on the telephone, making an appointment, greeting people, making gestures, or standing apart or close when in conversation can be misinterpreted and behaviour we regard as normal may be inappropriate in another country, having not only a negative effect but causing offence. What may seem to us a typical gesture, such as nodding our head in affirmation or shaking our head to indicate a negative response, may convey a different meaning in some countries and an offer of gifts to communicate pleasure can be perceived by the recipient to be linked with sorrow. Our actions and their reactions may lead to embarrassment to either or both parties. The author has travelled the globe for business and pleasure and has written extensively in British and international trade publications.